Every year at this time, Gainesville welcomes hordes of young people back to town. That’s the nature of any college town, but especially one with two sprawling campuses and more than 70,000 students enrolled in classes. Alas, many of those students will never wander farther from UF than Midtown for food and entertainment. Others will likely find familiarity with the chain restaurants and big-box retail stores sprouting up along Archer Road and around the Oaks Mall on West Newberry Road. Of course, you can find those exact same stores and eateries in pretty much any decent-sized Florida city. In that regard, it’s hard to distinguish Gainesville from Orlando, Tampa or any number of South Florida cities. And that’s why, to discover what Gainesville is really all about, you need to get yourself downtown. 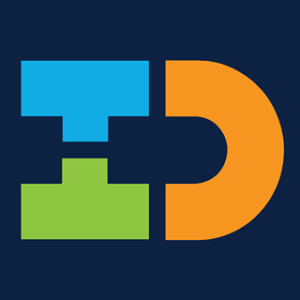 Downtown Gainesville is where you will find locally owned restaurants and bars, coffee shops, breweries, live-music venues, theaters and other places that give the city much of its charm and character. You will also find a variety of events, from weekly outdoor concerts to art festivals, taking place throughout the year. First Magnitude Brewing Co. opened three years ago at 1220 SE Veitch St. and has become a popular hangout spot thanks to a family-friendly atmosphere and a beer garden that hosts live music on selected evenings. 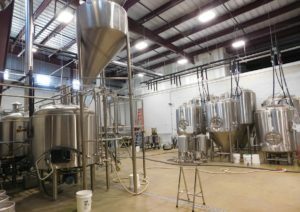 Just a few weeks ago, Cypress & Grove Brewing Co. opened at 1004 NE 4th St. on the site of Gainesville’s original ice house. The brewery offers a selection of beers as well as wine and flavored seltzer. Meanwhile, the 10-year-old Alligator Brewing Co. operates “an itty bitty nanobrewery” out of Tall Paul’s Brew House at 10 SE 2nd Ave.
Name another Florida city where two community theaters and a professional theater co-exist in a downtown setting. The Acrosstown Repertory Theatre offers everything from plays by local playwrights to Summer Shakespeare in a cozy “black-box” theater at 619 S. Main St. As of this spring, Actors’ Warehouse is now located in a historic church building at 619 NE 1st St. and features productions that strive to “entertain, inspire and foster critical thinking through the performing arts while bringing diversity programming, social justice and public health to the forefront.” And last, but certainly not least, the Hippodrome Theatre, at 25 SE 2nd Place, presents regional professional theater that runs the gamut from outrageous comedies and thought-provoking dramas to rollicking summer musicals. The final Friday of each month is reserved for Artwalk Gainesville, a free, self-guided tour of galleries and other businesses that support the arts in the community. The next Artwalk is Aug. 25, from 7-10 p.m. (although some venues open at 6). The Original Gainesville Food Truck Rally takes place in the parking lot at High Dive, 210 SW 2nd Ave. on selected dates throughout the year. At least a dozen local food trucks offer their tasty fare while live music takes place inside the venue. The next food-truck rally is Sept. 23, with donations going to the UF Dance Marathon. The Flying Wallendas perform at Jest Fest! Gainesville hosts events each year that draw tens of thousands of people to downtown streets and venues. The Downtown Festival & Art Show celebrates its 36th year on Nov. 11-12, featuring 240 local and national artists displaying paintings, sculptures, jewelry, ceramics, mixed media and photography. 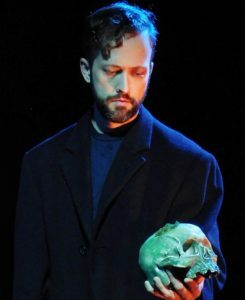 Not to be outmatched, the Santa Fe College Spring Arts Festival takes place each April along historic Northeast 1st Street. The Friends of the Library host massive book sales each spring and fall that include more than 500,000 books, posters, CDs, DVDs, games and puzzles for as little as 10 cents each. Every October, on the weekend of the Florida-Georgia football game in Jacksonville, The FEST music festival invades downtown venues with more than 400 punk bands — and thousands of their diehard fans —from around the U.S. and world. Each February, Gainesville turns into Changeville, a two-day “festival for social change” that includes live music, comedy and panel discussions. Also each February, the award-winning Cinema Verde International Environmental Film & Arts Festival takes place at the Hippodrome Cinema. Meanwhile, the Historic Thomas Center, 302 NE 6th Ave., regularly hosts Jewel Box Concerts in the Spanish Court. The next such concert features country singer/songwriter Billy Dean on Sept. 8. Meanwhile, Jest Fest! 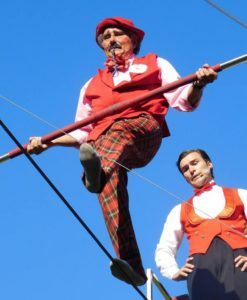 takes place each spring on the grounds of the Thomas Center, featuring circus-style acts and comedy. One year ago, a 32-acre oasis known as Depot Park opened on a reclaimed property off South Main Street that has become a popular gathering spot for families as well as adults seeking recreation and relaxation. The park features a 1.2-acre Children’s Play Area with a Splash Zone as well as a picnic pavilion, a band stage, nature trails, the Pop-a-Top General Store and Boxcar Wine & Beer Garden. Early next year, the park will also become the new home to the Cade Museum for Creativity and Invention. 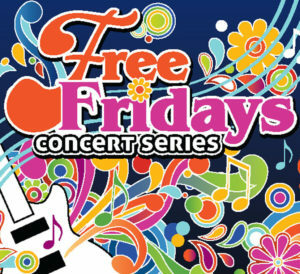 Each and every Friday night, from April through October, the City of Gainesville presents the Free Fridays Concert Series at Bo Diddley Plaza in the heart of downtown Gainesville. The event, from 8-10 p.m., spotlights some of the best local and regional musicians and bands. The Aug. 25 concert features De Lions of Jah, a roots reggae band from Jacksonville led by vocalist Dave “Da General” Philip. More than 60 local farmers and other vendors sell their produce and homemade goods each Wednesday from 4-7 p.m. (rain or shine) at Bo Diddley Plaza. The Union Street Farmers Market has served the downtown area since 1996 and also features family-friendly entertainment on the Bo Diddley Stage. The downtown area has a ubiquitous Starbucks in Union Street Station, but there are a handful of locally-owned coffee shops that welcome your business. Maude’s Classic Cafe, 101 SE 2nd Place (next door to the Hippodrome), offers a variety of espresso drinks and fine teas as well as creative desserts and sandwiches in a welcoming, laid-back atmosphere. Volta Coffee, Tea & Chocolate, 48 SW 2nd St. (in the Southwest Parking Garage), has a knowledgeable staff that gives you exactly what you order, without pretentiousness. Patticakes, 185 E. University Ave. (in Bo Diddley Plaza), offers house-blend drip coffee as well as espresso, macchiato, latte and cappucino, not to mention the best cupcakes in town. The “new kid” on the block is Third House Books & Coffee, 113 N. Main St., an independent bookstore where you can enjoy tasty brews while browsing an eclectic selection of books, including many by local authors. Downtown Gainesville has a number of locally-owned eateries where you can place an order without going through a server. 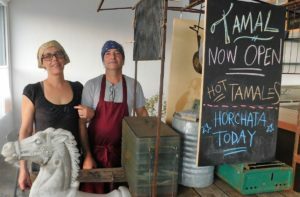 Tamal, 439 S. Main St., specializes in hand-rolled chicken, pork, vegetarian and vegan tamales and aguas frescas. Piper G’s, 204 SW 2nd Ave., offers hand-crafted soups and sandwiches that are to die for, with outdoor dining on picnic tables in the shade. Flaco’s Cuban Bakery, 200 W. University Ave., serves Cuban sandwiches, arepas, bowls, puff pastries and vegetarian fare into the wee hours. Steamers, 104 SE 1st Ave. (in Bo Diddley Plaza), has Midwestern-style loose meat sandwiches, Indonesian-style fried rice and much more in the historic Bethel Station service station. Daily Green, 436 SE 2nd St., is off the beaten path but well worth the effort with a healthy menu that includes classic feel-good greens and inventive new vegan and vegetarian creations. Sababa Israeli Cuisine, 101 SE 2nd Place (in Sun Center East), serves up shawarma, falafels and other Mediterranean dishes. And don’t forget Big Lou’s, 5 SE 2nd Ave., for the best New York-style pizza in all of Gainesville. The outdoor patio and people-watching can’t be beat! Relish, 201 SE 2nd Ave. (in Union Street Station), is a Gainesville-based chain that serves up some of the juiciest, made-to-order burgers in town. A pizza bakes in 900-degree heat at V Pizza. You want a good meal without too much fuss? There are several hometown restaurants that serve up great food in downtown Gainesville. Emiliano’s Cafe, 7 SE 1st St., has been around since 1984 and serves up Latin fusion, tangy mojitos and a scrumptious weekend brunch. The Top, 30 N. Main St., is another local favorite that serves American fare with a culinary flare. 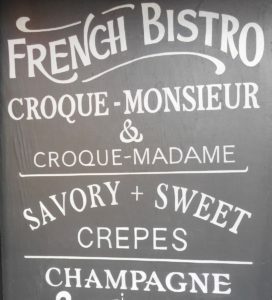 Alpin Beer + Wine Bistro, 15 SW 2nd St., brings “la joie de vivre” to Gainesville in the form of French-inspired food and a selection of European wines in a sidewalk cafe atmosphere. Crane Ramen, 16 SW 1st Ave., is Gainesville’s first ramen shop, using locally sourced ingredients, premium products and a slow simmering process to achieve tasty goodness. Reggae Shack Cafe, 619 W. University Ave., offers classic Jamaican and vegetarian dishes as well as Caribbean-inspired desserts and smoothies. Sweet Mel’s, 1 W. University Ave., serves thick, tasty hamburgers and other traditional sandwiches and salads. Liquid Ginger, 101 SE 2nd Place (in Sun Center East), offers Thai and Japanese fusion dishes along with a mellow vibe. Downtown Wine & Cheese, 113 N. Main St., where you can sample great wines while listening to jazz on the “secret” patio. O.A.K. (a.k.a Original American Kitchen), 15 SE 1st Ave., features tasty comfort foods as well as old Southern classics. Sweet Tea Restaurant, 617 E. University Ave., offers New Century Southern cuisine in a tea-room atmosphere adjacent to the historic Sweetwater Branch Inn. Leonardo’s 706, 706 W. University Ave., combines California and Mediterranean cuisine and presents live jazz on Monday and Thursday nights. Meanwhile, St. Augustine-based Harry’s Seafood Bar and Grille, 110 SE 1st St., has Cajun, Creole and Southern cuisine in a family-friendly atmosphere. 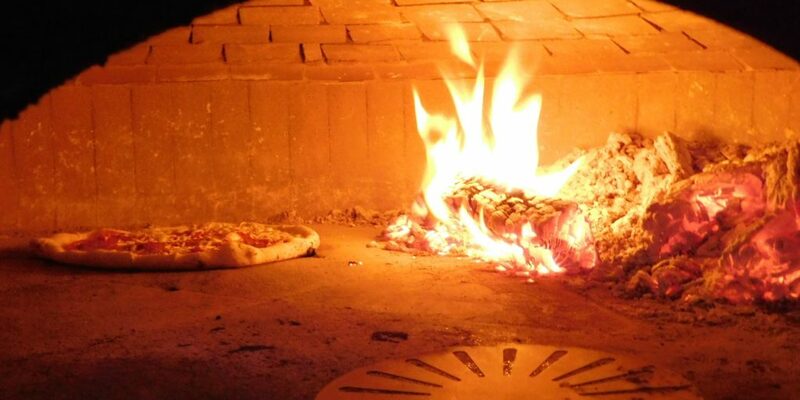 V Pizza, 115 SE 1st St. (in the Hampton Inn), uses wood-burning ovens to create mouth-watering pizza served up fast. MOJO Hogtown Bar-B-Que, 12 SE 2nd Ave., serves from-scratch BBQ and Southern cuisine along with lots whiskey. Omi’s Tavern, 101 SE 2nd Place (in Sun Center East) offers authentic Cuban and Latin American cuisine and mouthwatering desserts. The Warehouse, 502 S. Main St., features creative New American fare and specialty cocktails. Celebrity’s Soul Food, 201 SE 2nd Ave. (in Union Street Station), has a menu of Southern favorites, including Po-boy sandwiches and fried chicken. If it’s date night, downtown Gainesville has some fancy places to get romantic. Manuel’s Vintage Room, 6 S. Main St., features delicious Italian food and an extensive wine list in an intimate atmosphere. Mark’s Prime Steakhouse & Seafood, 201 SE 2nd Ave. (in Union Street Station), serves USDA Prime steaks and fresh seafood, premium wines and naturally fresh vegetables. Paramount Grill, 12 SW 1st Ave., spotlights the culinary skills of Clif Nelson with a new American menu that uses only the best, locally sourced ingredients and delicious wines. Amelia’s, 235 S. Main St. (behind the Hippodrome Theatre), has served the downtown area’s finest classic Italian cuisine for the past 25-plus years. Andaz, 12 W. University Ave., presents traditional Indian Muglai food in a warm, welcoming atmosphere. The daily lunch buffet offers an array of exotic and healthy dishes. Also, Dragonfly Sushi & Sake, 201 SE 2nd Ave (in Union Street Station), is a contemporary izakaya featuring tapas-style Japanese pub fare plus an assortment of sake. The Gelato Company, 11 SE 1st Ave., has at least 15 flavors of Italian ice cream in addition to a menu that includes paninis, salads, breakfast sandwiches and crepes. Mochi, 202 SE 2nd Ave. (outside the Hampton Inn Suites), specializes in non-fat frozen yogurt with fresh and healthy seasonal fruit toppings. The Hyppo, 214 SE 2nd Ave., serves gourmet ice pops in hundreds of imaginative flavors, including many using fresh herbs and spices. Karma Cream, 607 W. University Ave., is known for its certified organic ice cream as well as its coffee, baked goodies and vegan sandwiches. As you might expect in a college town, downtown Gainesville has no lack of bars to grab a beer or a cocktail. 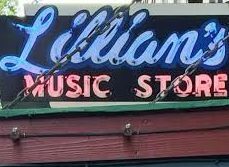 Lillian’s Music Store, 112 SE 1st St., has been around so long that it doesn’t even have its own website or Facebook page. Locals go there to socialize, not to use their smartphones. Durty Nelly’s Irish Pub, 208 W. University Ave., has a full bar and a no-fuss environment where smoking is allowed. The Bull, 18 SW 1st Ave., serves craft beer and wine and offers live music on the down-low several nights a week. The Midnight, 223 S. Main St., has craft beer, wine and great food in a funky setting. 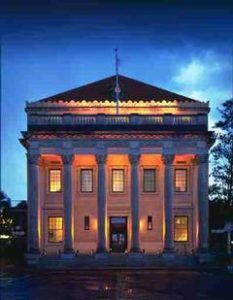 The Bank Bar and Lounge (and adjacent Dutton’s Vault), 22 W. University Ave., is a classic bar and cocktail lounge located in a brick building that housed Gainesville’s first financial institution. The Dime, 4 E. University Ave., is a classy, craft cocktail bar from the good folks who brought us The Top restaurant and the Atlantic Nightspot. Gainesville House of Beer, 19 W. University Ave., is a craft-beer bar with 40 taps of microbrews and select imports. Madrina’s, 9 W. University Ave., is a Cuba-inspired cocktail bar that opens on Aug. 25 in half of the old Stubbies & Steins location. Live music and other entertainment, including karaoke and trivia, can be found just about every night of the week at one or more downtown establishments. 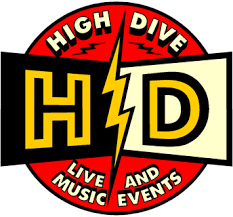 High Dive, 210 SW 2nd Ave., books local and national acts three or four nights a week and is the annual host of the Less Than Jake Wake N Bake Weekend on Sept. 1-2. The Heartwood Soundstage, 619 S. Main St. (in the Baird Center), is a brand-new performance venue and recording studio specializing in capturing performance live. Rockey’s Dueling Piano Bar, 112 S. Main St., has three nights of dueling pianos each week featuring national talent. There’s also Comedy Boom each Wednesday. The Atlantic, 15 N. Main St., serves a healthy dose of live music and throws some pretty good late-night dance parties. Hardback Cafe, 211 W. University Ave., has an upstairs bar and a downstairs stage that welcomes an eclectic mix of local and touring acts The Backyard at Boca Fiesta & Palomino, 232 SE 1st St., has an assortment of events that includes live music, dance parties, karaoke, trivia and even monthly dinosaur movies! Loosey’s, 120 SW 1st Ave., is a restaurant with great burgers and other homemade food but also a terrific venue for live music, karaoke and open-mic nights. University Club, 18 E. University Ave., is Gainesville’s most popular gay bar and known for its drag shows and party atmosphere. The Wooly, 20 N. Main St., is a spacious event space that hosts live music, films and art shows. Its next event is Ordinary Boys, a Tribute to The Smiths and Morrissey, on Sept. 9. Some places defy classification but help make downtown Gainesville unique. 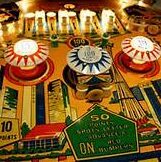 They include Cyclops Cinema, 10 E. University Ave., that screens independent films not seen anywhere else in town; Arcade Bar, 6 E. University Ave., where you can enjoy beer and mixed drinks while playing three floors of your favorite retro video games; the Matheson Museum, 513 E. University Ave., where the history of Gainesville and Alachua County comes alive; Arrow’s Aim Records, 10 N. Main St., where you can buy, trade and sell vinyl records; LEJ Pretzels, 620 S. Main St., has a selection of warm and chewy Bavarian-style pretzels you order from a walk-up window. And the Civic Media Center, 433 S. Main St., an alternative library and reading room that hosts Monday night film screenings and Thursday night Poetry Jams. Maybe you will explore downtown Gainesville on your own and discover a few places we might have overlooked while compiling our list. Let us know by filling in the Leave a Reply space below. Thanks! Don’t forget about Gainesville Food Tour, which does historical walking food tours of the downtown area!